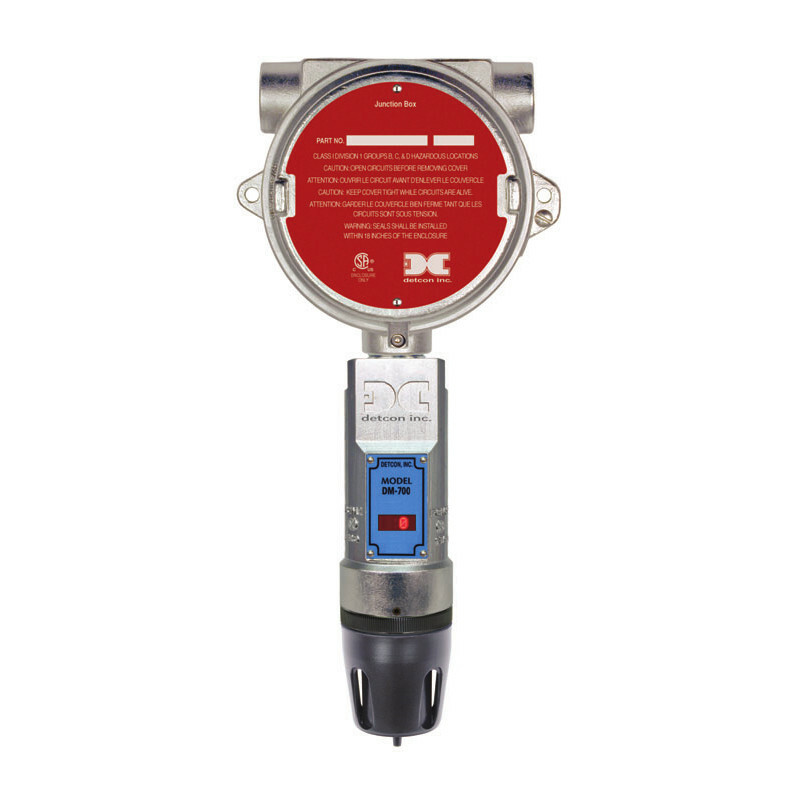 Macurco Ex Series Explosion Proof Electrochemical Gas Detector for detection of Germane (GeH4) 0-2ppm. Includes 4-20 mA Output, 3 Onboard Relays, Modbus RS-485 Communication and LCD Digital Display. Aluminium Enclosure. IP66. FM and CSA approvals for Class I Division 1. The Macurco EX Series of Explosion Proof Gas Detectors are used for Class 1 Division 1 applications or harsh environments. A brilliant digital display indicates STEL, TWA and peak daily value concentrations as well as relay status. A three-color backlight will flash depending on the level of alarm for operator safety. 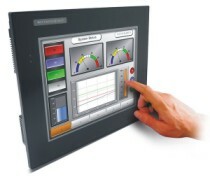 Set-up and calibration is accomplished via non-intrusive magnetic interface that allows programming of all parameters. 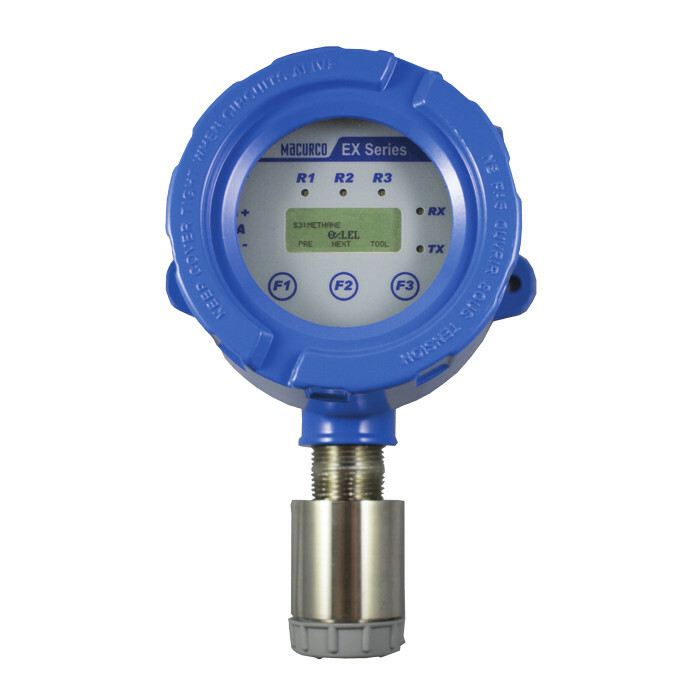 A remote sensor option is available for difficult or remote monitoring applications. Compatible sensor types include electrochemical and catalytic bead options to provide monitoring solutions for a wide variety of toxic and combustible gas applications. Standard outputs include Modbus RS-485, 4-20 mA and three user programmable relay contacts. Input Power 24 VDC nominal, range 18 to 30 VDC, 0.3 A DC Total Max. 24 VAC nominal, range 12 to 24 VAC, 0.3 A AC Total Max. EX-6395-0003 Macurco Calibration Adaptor (cup) for Macurco Ex Series Toxic Gases ..
70-2900-0228-5 Macurco Zero Air Calibration Gas 58L (F) for Macurco Ex Series ..
26-1017-5404-7 Macurco 0.5 LPM Fixed Flow Regulator (Male) for Macurco Ex Series detectors. ..
26-2900-0082-5 Macurco 3ft Teflon Tubing for Macurco Ex Series ..
> GAS DETECTORS > GERMANE : 1 Items found. Detcon DM-700-GeH4 Electrochemical "Smart" Germane (GeH4) 0-2 ppm Sensor Assembly with LED display. 4-20mA and Modbus RS-485 outputs. 316 Stainless Steel Housing. Water Proof, Corrosion Proof, Vibration Proof and Explosion proof. NEMA 4X. IP66. Class I, Div. 1, Groups B, C, & D. CSA and ATEX approvals.